As someone that has been on every yo-yo diet you can imagine, I have learned tons of Benefits of Protein in Weight Loss. In fact, protein is something that is a must for me now. Even during my days on a plant-based diet, I found that protein was something I had. I partnered with Optimum Nutrition this month to check out some of their protein products. I was sent an assortment of their products to test out and use in my routine. 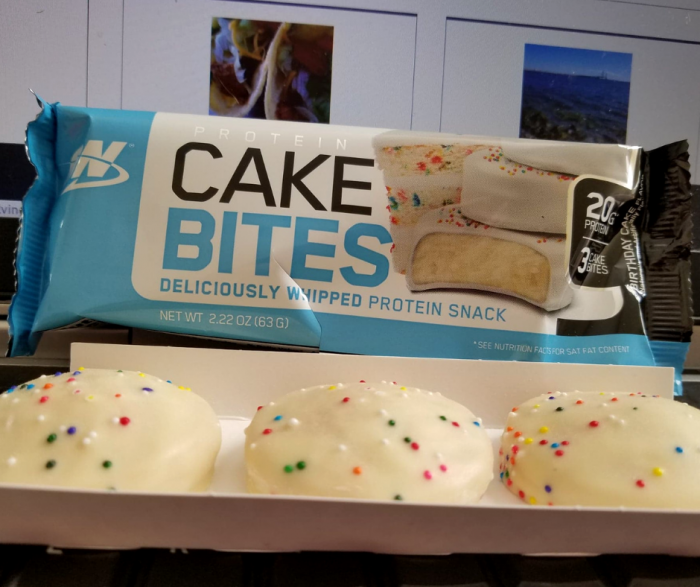 They have a full line of products including protein bars, protein cakes, and protein-coated almonds. We’ve tested out the variety of flavors to find our favorites, and have found some excellent options that are easy to fit into our routine. One of the things I know is most necessary for me right now in my weight loss journey is to stay satisfied. If I am hungry or having cravings, then I inevitably will reach for something I don’t need. High protein foods are a must in my routine. 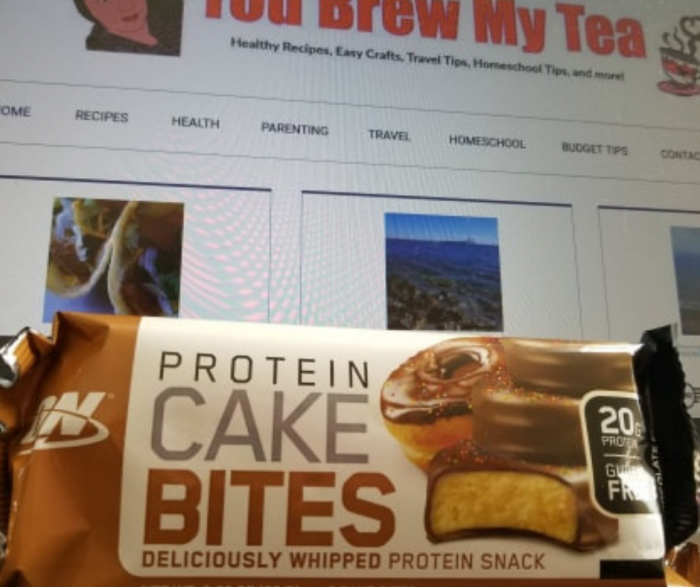 Optimum Nutrition Protein Cake Bites are a fun option I can have after a workout, or just because. They are 7 SmartPoints on the Weight Watchers program, so they fit into my daily allowance as a treat or as a meal replacement along with some fresh fruit. The Red Velvet Cake Bites are my favorite, but my Beau prefers the ones with peanut butter. If you are working on building up some muscle in your workout routine, then you know that protein is important. While you may not be looking to bulk up, building muscle is a must. Muscle helps burn fat faster. If you are working toward weight loss, then you know you want the extra muscle to help get rid of it faster and to keep it off for longer. I like having a high protein snack on hand at all times. Since I am also a diabetic, I need this to be something convenient to carry with me anywhere, and hopefully lower in concentrated sugars and carbohydrates. 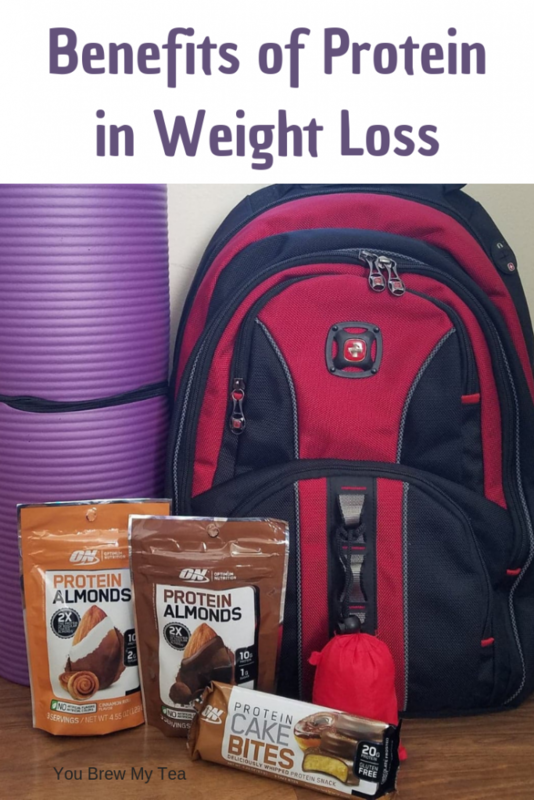 The Optimum Nutrition Protein Almonds are great for adding to my purse. Each bag contains 3 servings, so I know I am going to have enough to snack on when out and about running errands or doing things with the Wee Child. The chocolate covered almonds are my favorite of the flavors. Many studies show that your protein makes you burn more calories. Protein has a high thermic effect which can help you burn up to 100 more calories per day. Every 100 counts in my book! One of the things I love about adding protein to my routine is that it helps boost my metabolism. I am fueling myself with an energy source that it needs without packing on unwanted pounds. That sugar rush may feel good at first, but it won’t last. Protein lasts longer and keeps you satisfied. 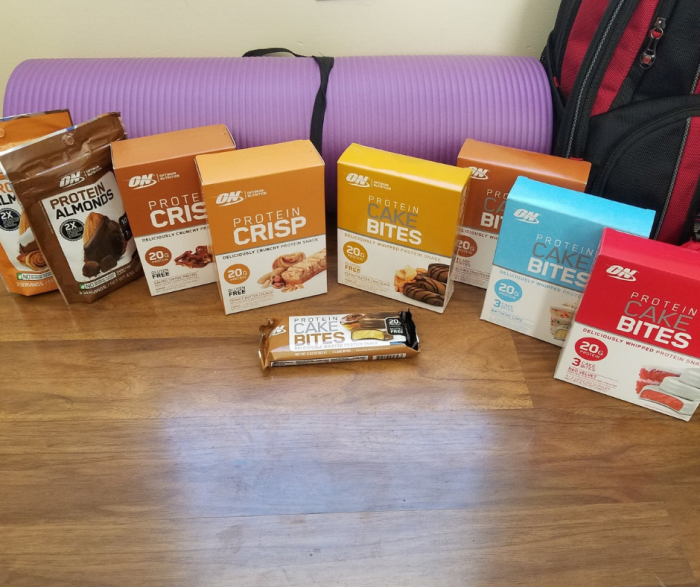 The Optimum Nutrition Protein Crisp bars are a great way to feel like I had a treat, while still helping boost my metabolism. Crunchy like a granola bar but loaded with protein and yummy peanut butter and chocolate flavor, they are a hit in our house for sure. As I continue to work to shed those extra pounds, I have found that the addition of protein helps in many ways. Sure, as mentioned above, there are specifics, but it is also important for me to have convenience. A convenient snack is a must when I am busy running around or working. I don’t want to always have to go stop everything to cook something high in protein. Especially since I tend to be a bit of a picky eater and many popular proteins aren’t food I enjoy. Optimum Nutrition offers a wide range of products that are affordable at Walmart while also being tasty. I tried 8 different varieties over the last month and found that even my picky taste buds could enjoy over half the flavors. If you don’t care for one flavor, try others! Weight Watchers Beyond The Scale SmartPoints system has been life changing for me. So, as any good blogger will do, I am out to help you see the benefits about this and learn more about how it works. Every day I get someone who asks me how to do SmartPoints for free. I so wish I had a magic answer, but I don’t. The truth is, there is no free program, but there are a lot of options that can make it affordable for any budget. This post contains affiliate links from Amazon and Tupperware. I earn a commission on purchases made via these links. First things first. I have to talk to you about my history with diets and eating habits. I grew up in a family where food was your reward, a means of showing love, and more often than not the comfort we turned to when sad or happy. Family time was almost always centered around food, and the result for me given poor genetics was being overweight at an early age. Looking back, I realize how many of my food choices are 100% emotional. Being able to move past that and work on making healthy choices was a must. Weight Watchers gives me the tools to do that. Not only can I eat what I want, but I am being taught how to portion control as well as how to cope without using food as a crutch. No food restrictions or specialty foods. One of the biggest struggles I have with the term “diet” is that it usually includes limitations on food groups or a requirement to purchase specific foods. To me, this is not only hard to afford but also tough to juggle when you have picky eaters in your family. Being able to truly eat anything on the Weight Watchers Beyond The Scale SmartPoints system made it more appealing for me and our family. I can cook the same recipes I always did, and simply portion and account for points. Alternately, I am choosing healthier versions of foods, but avoiding things like low-fat or fat-free since so many of those products aren’t terribly healthy, in my opinion. So, I make the same salads, entrees, sandwiches, and more and the entire family enjoys it together. No fancy foods. No pricey products. No supplements. Just everyday food. Teaches healthy habits. The SmartPoints system is all about making healthier choices. Those who used Weight Watchers in the past will see that a lot of foods are higher in points value now than they used to be. Things that are higher in sugar and carbohydrates are now higher in points value. So, those low-fat treats that are high in carbohydrates are often now more points than they were in past plans. However, things like lean meats and healthy fats are lower in points value. Also, most vegetables and fruits are now free or zero points. Making healthier choices has never been easier. The SmartPoints system is perfect for helping you learn to eat more vegetables, lean protein, and to drink more water. That to me is much better than buying a shake, a tablet, or having surgery. This is my personal opinion for myself. Affordable options. Weight Watchers has a lot of choices to make it affordable. Whether you are an online member only or a member who attends meetings, you can almost always find something to fit into your budget. For $20 or less per month, you can get support, tips, their points system, and a wonderful Connect community of others on the Weight Watchers program. Alternative programs. 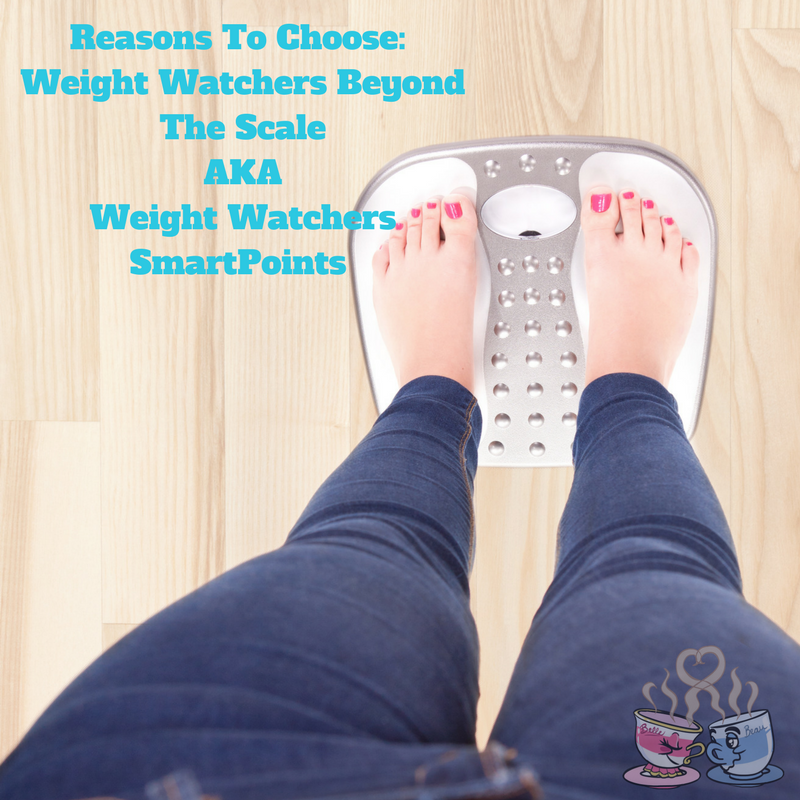 While I personally feel using Weight Watchers directly is best for accountability and encouragement, you can choose alternative programs that work well while not being a monthly fee. 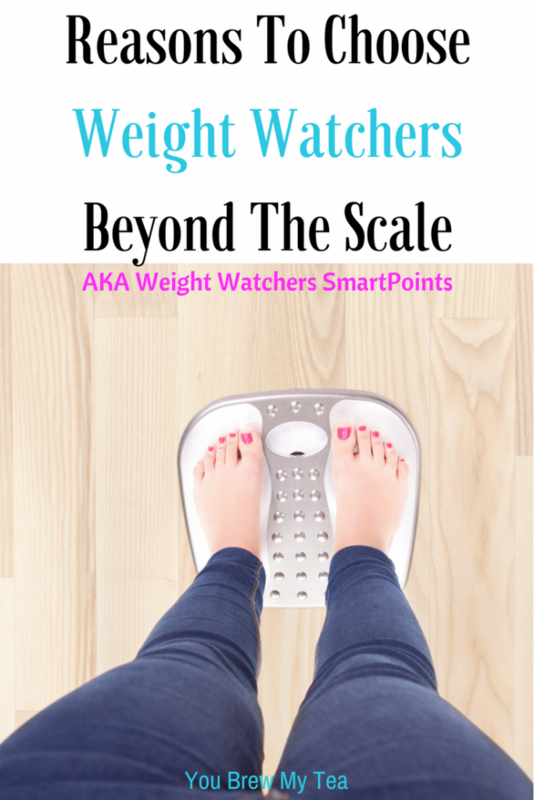 My personal recommendation is to purchase the Weight Watchers SmartPoints Calculator. This works to not just calculate your points for food each day, but it also works as a method to calculate what your points should be each day and week. If you want to do SmartPoints for free, this is the closest you can come to doing the program without spending a monthly fee. Many also use the iTrackBites app as a one-time cost of $4.99 to track their food intake. While it is not identical to the SmartPoints system, it is easy to use and more affordable. My personal experience with it was unfavorable, but thousands like it as an alternative. Invest in a quality scale like this Precision Digital Scale with Body Mass Index, Body Fat Percentage, and a 440-pound capacity. Measuring spoons, cups, and a digital scale for making sure all of your meals are properly measured and points are accurate. I recommend the Tupperware Measuring Cups and Spoons, and the Ozeri Digital Scale. Meal prep storage containers that are portion controlled. Preparing things like vegetables, fruit, or even lunch portions in advance helps me stay on track. For preparing meals for the freezer, I have used the Pyrex Food Storage Containers or the Tupperware Freezer Storage products. For general food storage, I prefer using the Tupperware Snack Cups, Tupper Minis, Microwave Reheatable Cereal Bowls, or the Tupperware Vent N’ Serve products. Yes, I love my Tupperware, but it stands up over the years and doesn’t fall apart or break easily like other storage. To help get started on the Weight Watchers program, there are some amazing tools out there. I found that of course, great blogs with recipes help, but also online support groups. These tips and thoughts are just my personal experience with Weight Watchers. I am not affiliated with Weight Watchers directly, just a current program participate who loves it and wants to share. I’ve been juggling my weight since I was a teen, so I know all about choosing the right Weight Loss Plan for your needs. I’ve done everything in the book, and found success with many plans and programs. 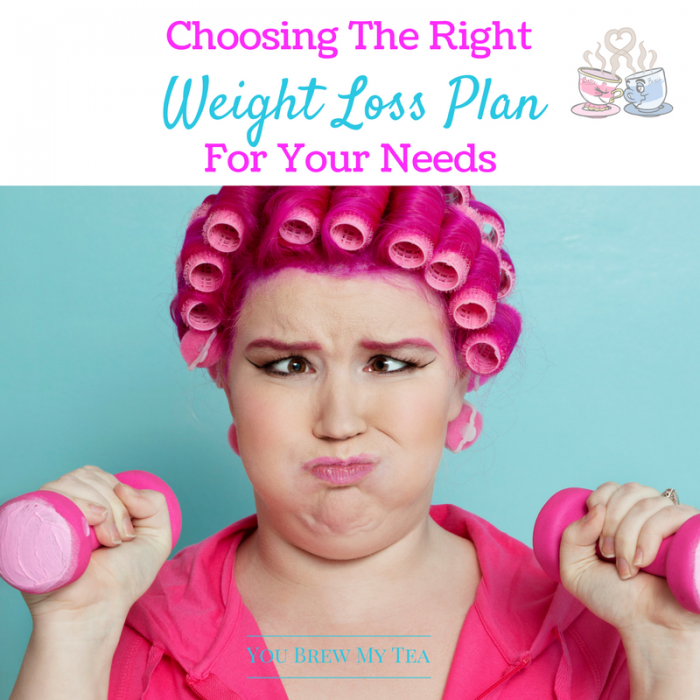 While I am currently using Weight Watchers, I thought I would share some tips on choosing the right weight loss plan for your needs. Since we are all different, then this is important to consider. This post contains affiliate links. I may earn a small commission through purchased made via these links. As I said, I have a lot of experience with various diets. One thing I have learned over the years is that no two diets work the same. They also won’t work the same for two people identically. So, what works great for me, may not do anything for you. However, some programs are based on core concepts that are almost always standards in health. Limiting calories while providing better nutrition for your body. It needs to fit into your budget. 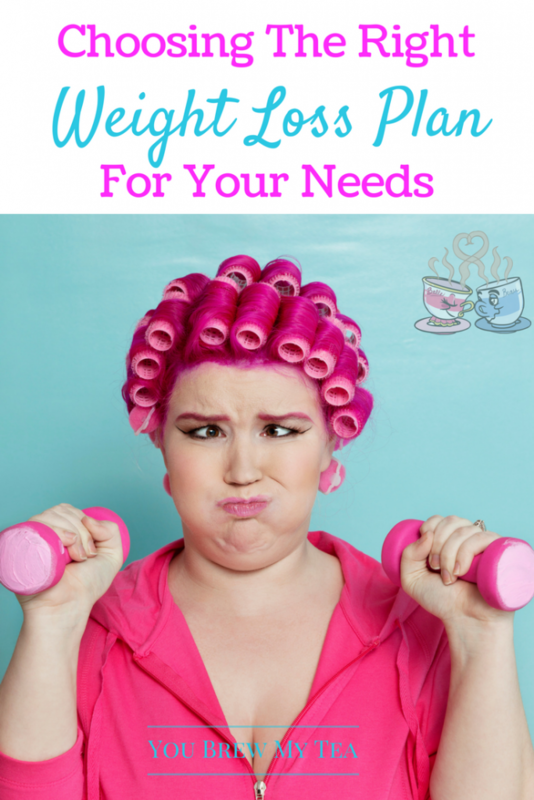 A weight loss plan needs to fit into your budget. While you will expect to spend a few extra dollars a month on special foods or meal plan needs, you don’t need to spend thousands of dollars on fancy supplements or programs to have success. I have done Weight Watchers for $20ish a month, and I’ve spent over $100 on Nutrisystem. I’ve also done things for completely free. It truly depends on your individual needs. If Weight Watchers appeals to you, then you can sign up online for just the online program for around $20 per month. If you prefer the on-site meetings, it will cost upwards of $45 per month. I currently use the online program. However, you can also invest in just the Weight Watchers Smart Points Calculator for a little less than one month of on-site meetings, and use just it to continue the program without a monthly fee. It should fit your lifestyle needs. If the weight loss plan you are going to use requires hours of meal prep each week and you are a busy working mother, it just isn’t going to be easy to maintain. Let’s face it, the more convenient the program is the better you will do on the system. Having weight loss success often comes from fitting into your routine without extra frustrations. I love using meal prep and meal plans, but not everyone will. That’s why I love this list of 100+ Weight Watchers Recipes. There are menu items on there for almost any meal planning or lifestyle need. Not just Weight Watchers! I’m also rather addicted to using these meal prep containers since they stack so wonderfully in my refrigerator and freezer and make meal times fast and easy. The foods should leave you feeling satisfied. Let’s face it. Food is the biggest problem. So, having food that leaves you feeling satisfied and satiated is vital. Not only should it taste good, but it should be satisfying physically. For each person, this means different things. It could easily mean you need something with more sweets or salty items. For others, it is more the quantity of food allowed. Make sure the plan will satisfy your needs. You should see healthy results. Ultimately, a weight loss plan should provide healthy results. That means an average of 1-3 pounds lost per week. While initially, you may find you lose more in a single week, most physicians will tell you that losing more than 3 pounds a week is unhealthy. Healthy results mean you are eating regularly, not starving yourself, and seeing some results that lead to a 5-10 pound loss per month on average. If you are considering a weight loss plan this year, keep these things in mind. Ultimately, weight loss comes from making sure you are burning more calories than you are putting into your system. However, just losing weight isn’t alway the most important thing. You need to make sure the way you are losing is also healthy for your body. These tips will make that possible. For years I have been searching for the ideal weight loss tips. Something that would suit my laziness and my lifestyle. Yes, I am lazy to a fault and detest exercise. Well, perhaps not so much anymore, but we’ll get to that. As I have struggled more in recent years, I decided to devote some of my space here and time to really helping you find the ideal weight loss tips that will help you reach your healthiest self. The result is this. My tips for lazy people like myself. I am going to break this down into areas that are of interest when you are lazy and looking to lose weight. Most of the focus is going to be on basic health and exercise tips. My goal is to help others like me that are inherently lazy find ideal weight loss tips to really focus on getting healthy. I don’t care what the scale or the size of my pants says, I do care about how healthy I am. So, join me in being lazy, while also getting out there to get healthy. Yes, it can happen. It all begins with the basics. You have to set goals for yourself and know that ideal weight loss isn’t going to be easy, but it can be doable – even for the lazy people like myself. I am still on the journey, but I can see changes every day. So, in the past, I have shared tips that I feel are ideal for when you start out. Setting Realistic Weight Loss Goals: This post is all about starting with healthy goals. Also, making sure that you are being realistic. We have all looked at the scale or in the mirror and wanted to drop 20 pounds overnight. The truth is, that isn’t a healthy way to go at weight loss, so this post reminds you of all the other goals you can set to make this a healthy journey. 7 Easy Diet Changes That Promote Weight Loss: Let’s just call this the baby steps post, shall we? It is all about those things you can change that don’t make you drop tons of weight but are healthier options. If you need to lose 5-10 pounds, making these changes can make that happen. If your goal is larger, this is an easy way to jump start changing your mindset about weight loss and a healthy life. Things That Hinder Weight Loss: I think this is one thing that should be focused on right away. 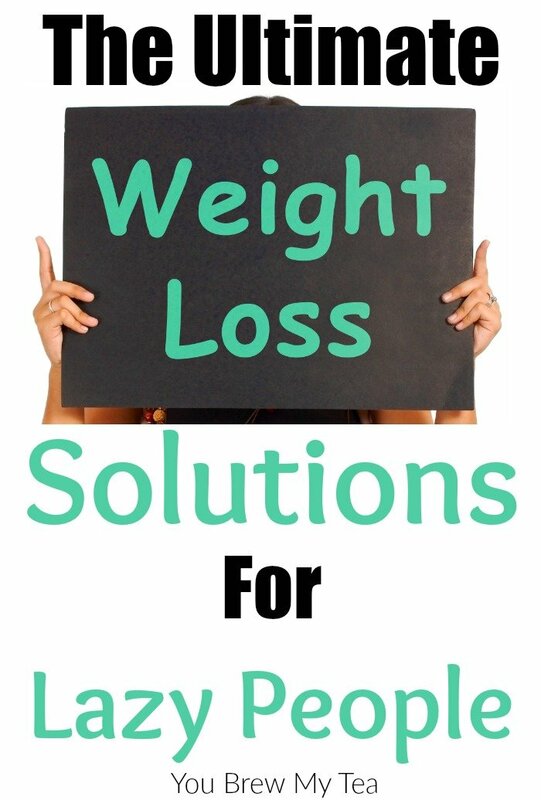 It’s so easy to get frustrated when you don’t lose weight easily or right away. There are a handful of things in life that really can make a huge difference in how easily you lose. Check these out before you begin. How Your Job Affects Your Health: Let’s face it, work can really hurt. You need to really understand how your job can make you struggle in your health journey. 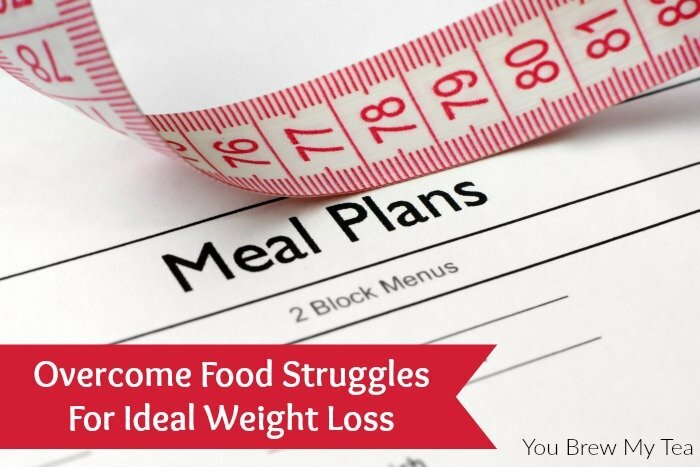 Ideal weight loss comes when you understand all of the obstacles in your way. For me, it’s being in a sedentary job that also takes up the majority of my daytime hours. Start slowly so you don’t overwhelm yourself or get burnt out easily. Find a partner to do this with you so you have daily encouragement. Start a food and exercise journal and track not just your activity and eating habits, but your moods. This helps you recognize triggers. Invest in a fitness tracker like the Fitbit or similar to watch your steps and activity level. Small increases will show and give you encouragement. Join a local support group or online group for accountability. Weight Watchers is my favorite, but you might like something like Spark People or just a Facebook group with friends. I don’t know your story, but you might as well know mine. I have always been a bit overweight, but have had my times where obese was the better term. In years past, I was able to bust my booty and lose easily. Then, a second child, Essure birth control (big mistake), and a severe back problem appeared. Suddenly losing weight wasn’t just hard, but nearly impossible. When the pain got really bad, it was even harder to get up and do anything active. So, I had back surgery and that problem was solved, but shortly thereafter, I also had a hysterectomy. That led to insane amounts of hormone related weight gain. So, when it comes to struggling with exercise and frustrating weight gain, I know all about it. How To Exercise For Beginners: I admit, I hadn’t really even considered the notion of exercise until I was an adult. So, understanding the basics was totally new to me. This is a good place to begin if you are lost when it comes to exercise. How To Exercise When You Have Chronic Pain: As mentioned above, I have had my share of chronic pain issues. So, finding ways to exercise without making the pain worse became important. If this is part of your reluctance when it comes to exercise, these tips will help. I also have some tips for Aerobic Exercises For Chronic Pain that can be useful if you are struggling. Reasons Core Strength Is Important For Weight Loss: I learned the hard way that having a strong core is vital to your health. It’s also vital to ultimate healthy weight loss. Don’t miss this post – it explains and helps tons. Plus Size Workout Routines: I am a big girl. Just because I am big, doesn’t mean I don’t want to be healthier. Once I overcame my pain issues, exercise became something that even I, as a lazy person, knew I needed to do. These workouts, along with our Plus Size Fitness Training Plan are all easy to do, and they totally appeal to my lazy personality. Trust me, they are great for larger people, and lazy people. Oh, and by the way, being large doesn’t always mean lazy. How To Strength Train Without Gaining Bulk: I have seen it, read it, and rolled my eyes at it. Just because you strength train, or lift weights, doesn’t mean you are going to be big and bulky. There are many men and women out there that lift weights and do focused strength training for the purpose of building larger muscles. Their form of training is different than the average person. Check out this post to understand why and how this works. How To Get Fit Playing With Kids: At the end of the day, I want my healthy habits to teach my son that good health isn’t so hard to manage. This post is all about those natural ways we can play with our kids to get healthy while setting a good example for them. That’s a win-win in my book. Include movement in everyday things like walking to the mailbox, sitting at your desk, or cleaning your home. A few extra steps and make a big difference over time. Invest in an under desk cycle, a walking desk, or a treadmill so you are encouraged to move at home doing your everyday tasks. Sign up for a local co-ed sports team for fun. Kickball is great exercise and never taken seriously, so even if you aren’t athletic, you can get fit and have fun. I am really bad at emotional eating. So, having some great ideas for snacks, healthy options, or tips to overcome help a lot. I love these posts for the reminders to stick with the journey and the great options out there that can help you stay healthy even when it is seriously hard to manage. 45 Snacks Under 100 Calories: I just need easy to calculate snacks sometimes. While these don’t have the Weight Watchers points calculated, knowing they are 100 calories or less really helps me to feel comfortable including 1-2 a day if I am struggling with being hangry (yes HANGRY), and need something to curb the hunger. If you want the points, SuperPoints are easy to calculate when you use the Weight Watchers Calculator. 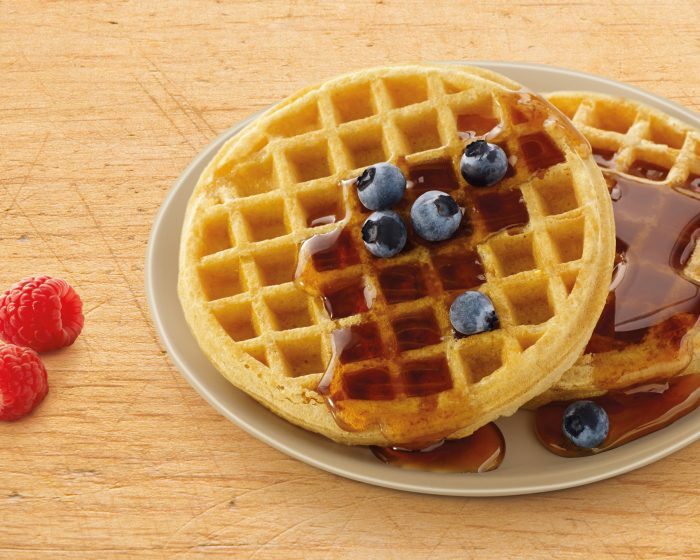 50+Weight Watchers SmartPoints Snacks: Bookmark this. You’ll thank me later. Tons of snack options with points calculated so you can easily use my favorite diet program to stay on track. Food Substitutes That Save Calories: I love this list because it reminds me of all the things that I can eat that aren’t as bad for me, but that taste delicious. Sometimes, when you are struggling to satisfy a craving without going outside your calorie range, this list is the best place to look. Food Hacks That Save Money While Staying Healthy: Finances are often the main reason people say they can’t get healthy. I get it. Truly, I do. We’ve had more than our fair share of ramen noodle diet weeks due to strained finances. Even with tips like these, sometimes it is still hard to manage. That said, take a look and see if these will help you make it work. We also have a great post that goes along with this about how to afford to eat healthy. 6 Ways To Eat Healthy On The Go: My Sister, who happens to be a certified nutritional therapist, shared this post with us. She also travels a lot which means she really knows what she is talking about. These tips do make it easier to manage. 6 Tips For Getting Past A Weight Loss Plateau: We’ve all hit that plateau. It is frustrating and annoying. Jess has some good tips for helping you bust the plateau and start the scale moving downward again. She has done amazingly since her daughter was born, but she, like all of us, has had a few obstacles to overcome. Her tips totally rock. 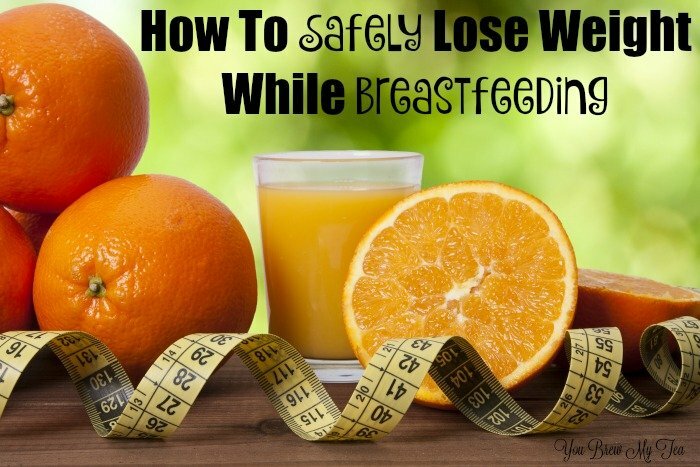 How To Safely Lose Weight While Breastfeeding: Another great post from Jess. She has been breastfeeding off and on for a few years now, so she totally knows what to do when it comes to losing weight. Ideal weight loss includes your normal everyday activities. Breastfeeding is a big part of life for many moms, so this post is a must read if you are or are planning to breastfeed your babies. Tips To Lose Baby Weight Easily: Jess shares her personal journey about how hard it can be to lose that baby weight. She gives some great pointers for juggling being a new mom while trying to maintain healthy habits in this post. Definitely, a great place to begin after you have a baby. 5 Ways To Fight Food Cravings On Your Health Journey: Have I mentioned that I am totally an emotional eater? I am. Way too often. All emotions can make me turn to food. So, this post is all about helping to get rid of the food cravings, or in my case, find ways to overcome them. Meal plan. Meal plan. Meal plan. Don’t limit any category of food, but eat in moderation. Find alternatives that satisfy without the calories. I love Happy Farms cream cheese dip from Aldi – 80 calories for a 2 tablespoon. I can use this, with a few crackers, and have a 200 calorie snack that is delicious and satisfying. Prep snacks in advance. I clean, wash, chop, and prep fruits and vegetables when I get home from the store to make it easy to grab as I want/need throughout the week. Start over fresh when you make a mistake. Don’t let one bad day or bad week get you down. Just get up and try again. So, if you are like me and admit to being pretty lazy, this is a good place to start. Ideal weight loss isn’t about reaching a specific number on your scale. It isn’t about fitting into a perfect little black dress. It’s about getting healthy. Yes, larger people tend to be less healthy than smaller people, but that isn’t always the case. I won’t make excuses for my size, but I will stand behind others and say – “Just because I’m fat doesn’t mean I am not trying to be healthy”. Join me to learn ideal weight loss tips to help get motivated, overcome obstacles, and get healthy the right way. Listen up breastfeeding mamas, it is possible to lose weight while breastfeeding, you just need to do it right. I had my fourth baby back in June of 2015 and I had some significant weight to lose. Not a ton, but enough. So, if you want advice from someone who understands, I truly do. I know one of the popular reasons moms want to breastfeed is so they can lose weight. Let me first say, get that out of your mind. It doesn’t work for every mom like that. Many women do not lose while breastfeeding, and more don’t because they are not feeding their body properly to make up for the loss of calories. The main reason I cannot lose weight while breastfeeding is that I’m super hungry and I want to eat all of the time. I did work hard and change my eating habits to find success this time. It was hard work, but well worth it to see the extra weight begin to fall off. I took my time, and still have more to lose, but know that I am doing so in a safe and healthy manner. It is possible to safely lose weight while breastfeeding and not go hungry. I am living proof. Get lots of water to drink. There is nothing that works better for hydrating and keeping a breastfeeding mom healthier than water. Your body needs water to produce breastmilk and to keep you healthy. Losing weight comes easier when your body isn’t dehydrated. Load up on water, it is hard to drink “too much water.” I find that using a water bottle with a straw helps me drink more, and I especially love the ones with a fruit infuser option! Slow down on the sugar. I always seemed to get a lot of cravings for sugar whenever I’m breastfeeding. Let’s just lay it out now that sugar is not good for you, so of course eating a ton of it, even while breastfeeding, will not help you lose weight. Fix your sugar craving with things like fresh berries and melon that are high in anti-oxidants and also naturally sweet instead. Lay off the carbs. It is possible to eat good carbs and still lose weight. I eat low carb, but I eat tons of good carbs. You never want to cut carbs out of your diet because your body needs them to function. Avoid highly processed carbs like tons of bread and pasta. Instead eat vegetables, rice, and sweet potatoes. Start moving. I know what it’s like to be so dog on tired that you don’t want to move off the couch. Breastfeeding requires a lot of “up and down” in the middle of the night. One way I’ve been able to lose weight while breastfeeding is by actually just moving around more. Going on walks with my kids, chasing them around, and even doing household chores are all great ways to lose weight. Some days I just get up from my desk and walk around the house for 10-15 minutes at a moderate pace just to get my blood pumping. Every little bit helps. Take it easy. 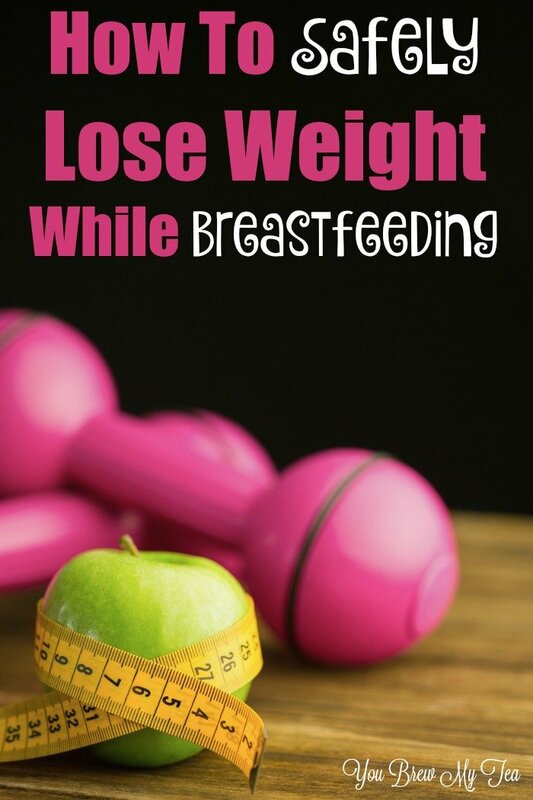 Losing weight while breastfeeding is NOT easy! I have spent months slowly losing 25 pounds. However, I feel like the longer it takes me, the easier it will be to keep it off. I keep reminding myself that I made a lifestyle change and not just a change for a few months. I also keep reminding myself that it has been proven losing 1-3 pounds per week is the safest option. It’s safe to lose weight while breastfeeding if you are making your lifestyle a healthier one. Don’t let anyone make you feel bad about trying to be healthier. I did it for myself and my family and I don’t regret a minute of it. What tips do you have to help safely lose weight while breastfeeding? 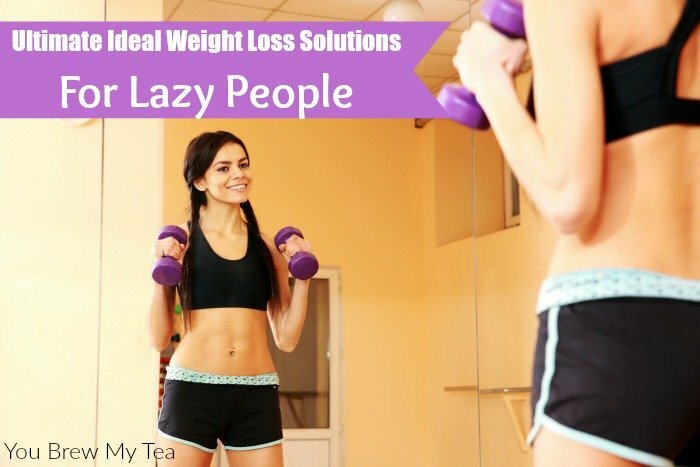 Don’t miss our other great tips for how to lose weight and get healthier!